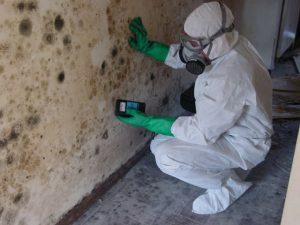 You may be apprehensive on who to use for mold cleanup in New Jersey. Griffith Construction, Inc. is fully trainned in water restoration and clean up technologies in New Jersey and microbial remediation which encompases mold and sewage cleanup in New Jersey. 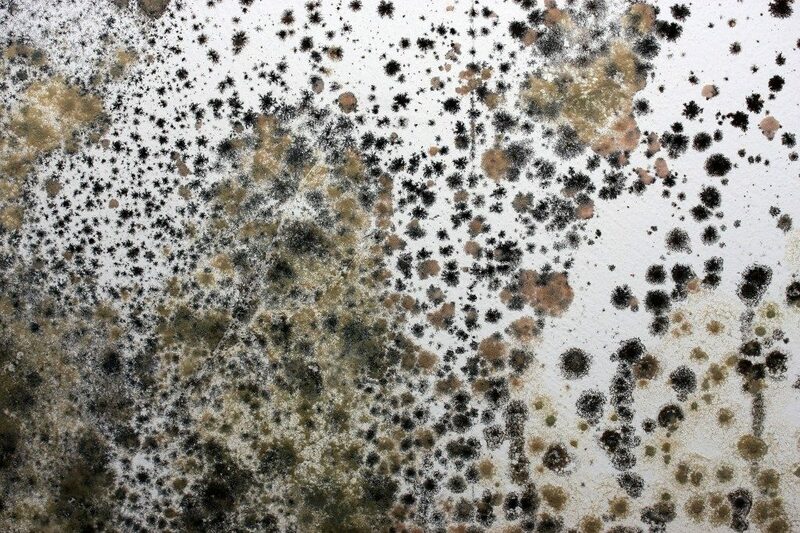 For most people whether it be a residence or a business, the discovery of mold can be quite upsetting. The worry about health and safety. The worry of how did the mold get there. The worry of how to get rid of the mold. 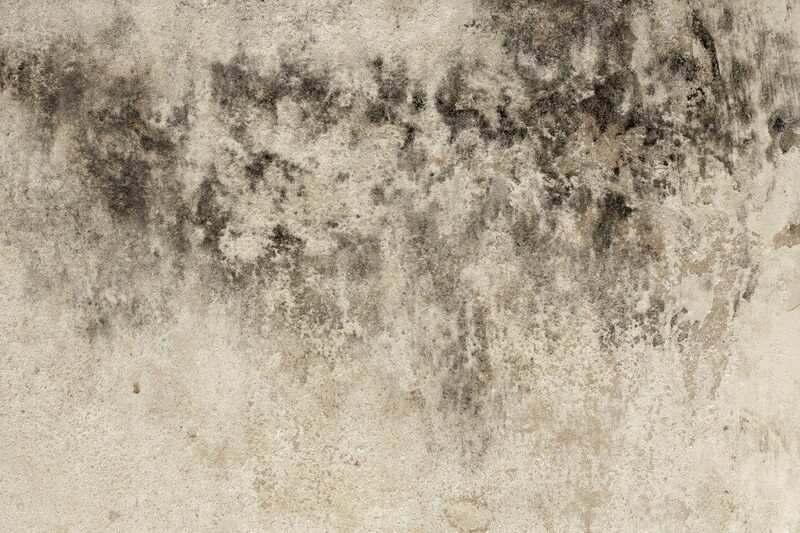 The worry of will the mold destroy the value of my property, and of course the worry of the cost of the mold removal and remediation. Let Griffith Construction, Inc. help you develop a plan. First we would inspect the area in question since many people confuse an old water leak for mold. 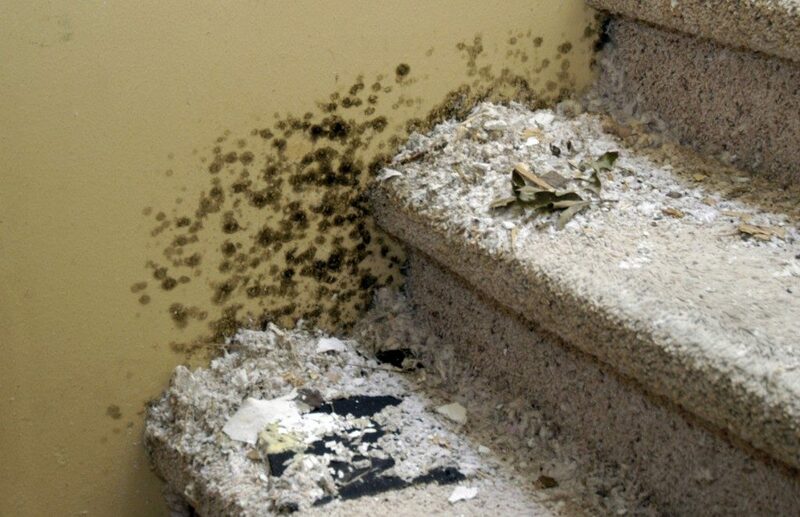 Next if mold is present we would look for the cause of the mold growth. Mold sampeling and testing is always recommended to totally identify the type of molds present as well as to help find the source. Griffith Construction, Inc. does not perform any mold testing or sampeling. We can recommend Industrial Hygenist companies to you for this and we will work with them to clean your property thouroughly. At Griffith Construction, Inc. we believe that it is a conflict of interest to do your own testing. When Griffith Construction, Inc. arrives at your property in New Jersey, we are comming with the knowledge of a construction company that understands how your property was built, as well as a mold cleanup and remediation company that knows how to properly and legally clean up your problem. Always make sure that the company that you are calling is fully Liscenced and Insured. Make sure that they are trainned and that they carry mold coverage in their insurance policy to protect yourself. 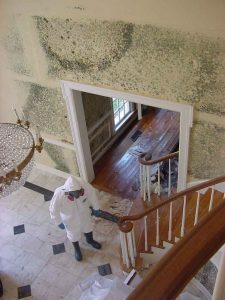 Call Griffith Construction, Inc. at 973-831-6102 to help you with your mold cleanup and remediation needs.